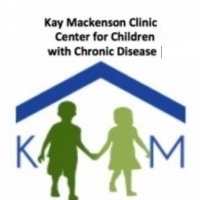 Dr. Chris Carpenter, and Nurse Viviane Lorgeat will talk about the efforts of Kay Mackenson Clinic in Montrouis, Haiti, to meet the needs of children living with chronic, non-communicable diseases, including diabetes. Viviane Lorgeat received her nursing degree from the St. Marc nursing school, Haiti. Since graduating in 2006, she worked primarily as a per diem nurse until joining Kay Mackenson as its first resident permanent nurse. She became head nurse shortly thereafter. Viviane has received intensive training in pediatric diabetes management and works at the level of a diabetes nurse educator. Specialty training in all clinical programs has followed, such that Viviane is the primary medical provider for most routine care at Kay Mackenson.